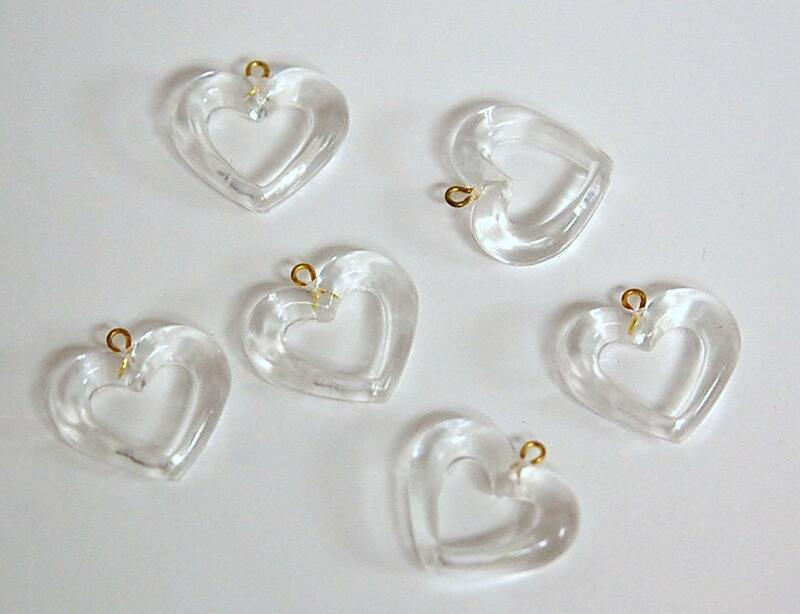 These are vintage clear acrylic hearts. They have and open center design. The loop is gold tone. These measure 16mm high with loop X 16mm wide. You will receive 6 pieces. These are so dainty and very nice! Beautiful exactly the right size thank you! Love these charms, I made earrings with them that I'm wearing now and I added the charm to my ring with the hoop, thank you.